I haven't shared this tutorial here, yet it's one of our most popular ones, so here you have. 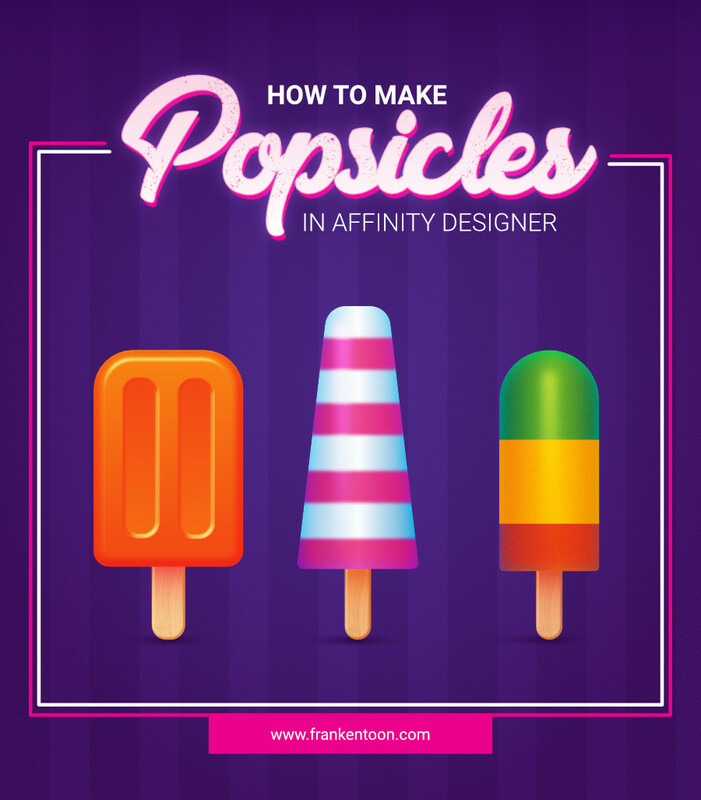 We'll show you how to create some delicious popsicles using simple shapes and Affinity Designer's FX Panel, we'll be also relying on Clipping Masks to speed thing up... all in all, a super quick and fun tutorial, for all those who want some refreshment in their illustration skills. Click on the image to read the tutorial, if it doesn't work, go HERE . Nice one Frankentoon! I love the look of this.